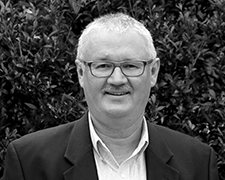 Guy leads the Australia Sumo Citrus® program for Agriculture Capital. His focus is the development and growth of existing Sumo Citrus® production in the region. Guy’s previous role was CEO of Tandou Limited, an ASX listed company with a market capitalization of approximately AUS$130 million based in Mildura, Victoria. Tandou focused on investment in water entitlements, large scale irrigation producing cotton and cereal, and organic lamb production. Prior to joining Tandou in 2005, Guy spent 10 years in the USA, where he served as Senior Vice-President and CFO of chemicals specialist Lanxess Corporation. Before that he was Vice-President of the Functional Chemical Division at Bayer Chemicals Corporation in Pittsburgh. Guy began his career as an auditor with an accounting firm in Cape Town, South Africa where he qualified as a Chartered Accountant after graduating with an accounting degree from the University of Cape Town. Guy is actively involved in the local community as a member and Past-President of the Rotary Club of Mildura Deakin. He is a Fellow of Australian Institute of Company Directors and a member of the Australian Institute of Chartered Accountants. Director of Lower Murray Water Corporation an urban and irrigation water provider in North West Victoria, Australia. Director of Tasmanian Irrigation Corporation a provider of irrigation water in Tasmania, Australia.